You searched for ESL programs in Missouri. 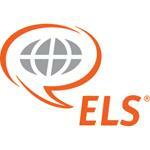 Below you will find a listing of all ESL programs in Missouri - click on any program to view more information, or refine your search within Missouri by city. Most states have many English as a Second Language programs, with schools and locations offering ESL programs and locations to suit every need. Please use the form below to refine your search even further and find an ESL program in Missouri that is right for you! Southeast Missouri State University is located on the west bank of the Mississippi River, 100 miles south of St. Louis, Missouri, and 150 north of Memphis, Tennessee. English for Academic Purposes, English for Leisure Purposes, English for Specific Purposes.